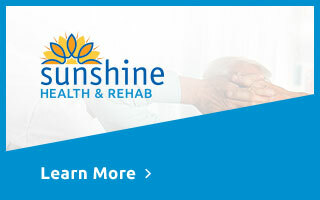 Sunshine Health is a locally owned Spokane Valley health care facility offering a multi-service approach to rehabilitation therapy and senior living. Services include short and long-term rehabilitation and therapy, skilled nursing, mental health treatment, senior care, memory care, adult family homes and Medicare-certified home health care for Spokane, Liberty Lake and other neighboring communities. Our goal is to promote wellness, independence, and dignity in all of the patients and residents that we serve. 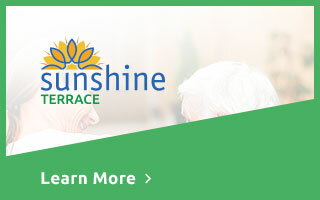 “Sunshine Health Facilities began in 1949 as the vision of my grandmother, Ellen C. Craig—a woman who cared deeply for people and wanted to provide a safe, loving environment when they were no longer able to live at home. As her vision became a reality, generations of our family joined the mission of enriching the lives of people who have advanced in years or who need assistance due to illness, injury, or medical condition. Sunshine Health Facilities offers a variety of care options on our Spokane Valley campus and through Home Health visits to the Spokane region including: hands-on physical therapy, occupational therapy and speech therapy for those recovering from a stroke, heart attack or physical injuries; skilled nursing and psychiatric nursing; dietary support and nutrition management; Alzheimer's disease and dementia memory care; in-patient behavioral health services for those dealing with mental illnesses; senior housing in our adult family homes; and home health care that is Medicare-certified. The Sunshine Health Facilities Inc (SHFI) team is made up of licensed practical nurses, registered nurses, home health aides, medical social workers, mental health professionals, therapists and support staff who have been specially selected to provide attentive and loving care to our patients and residents on our Spokane Valley campus and through home health visits in Spokane, Liberty Lake and other neighboring communities. 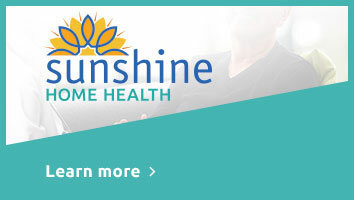 We take pride in our staff and in the fact that many have worked for Sunshine Health Facilities for many years. This continuity of our team enables us to offer exceptional healthcare and communication with patients and families. Adult family homes provide senior care in a home-like environment. 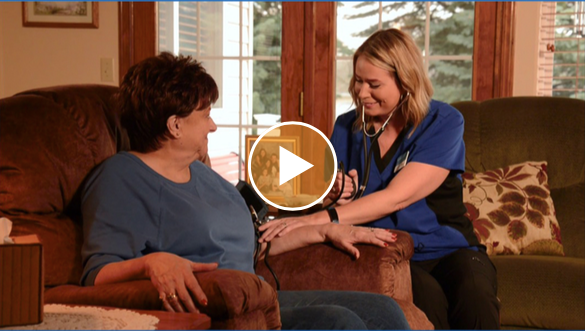 Home health care in the Spokane region that's Medicare-certified. As long as I have to be at a place to get well, this is a great place to be. I’m pleased that everybody is so nice and it is genuine. I appreciate that. Best facility in Spokane. My mother has been here for the last 6 years and she is always well taken care of, she loves the staff and the staff loves her. Thank you, Sunshine, you are a true blessing. The people of sunshine gardens have been my family for 14 yrs the staff is wonderful and the residents are the best. I have worked at Sunshine for two years, and when I walked in the doors I felt immediately comfortable, like being at home. I love the Residents and the Staff!